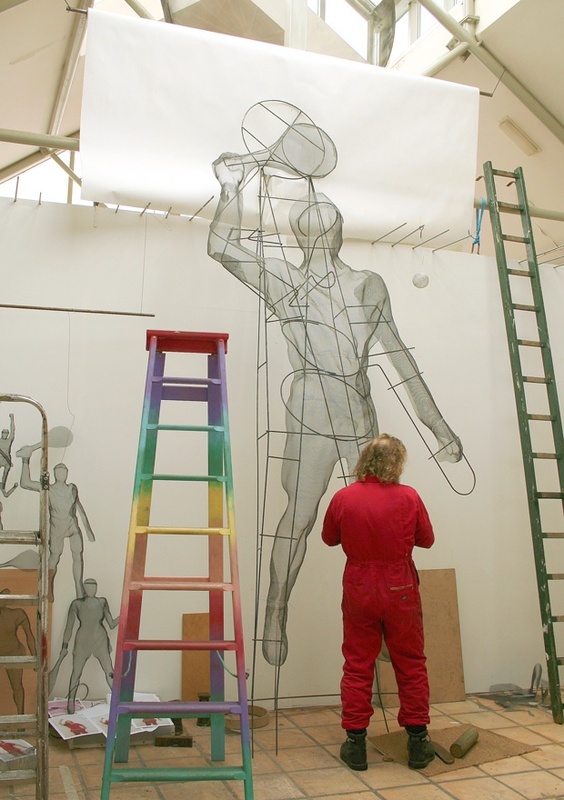 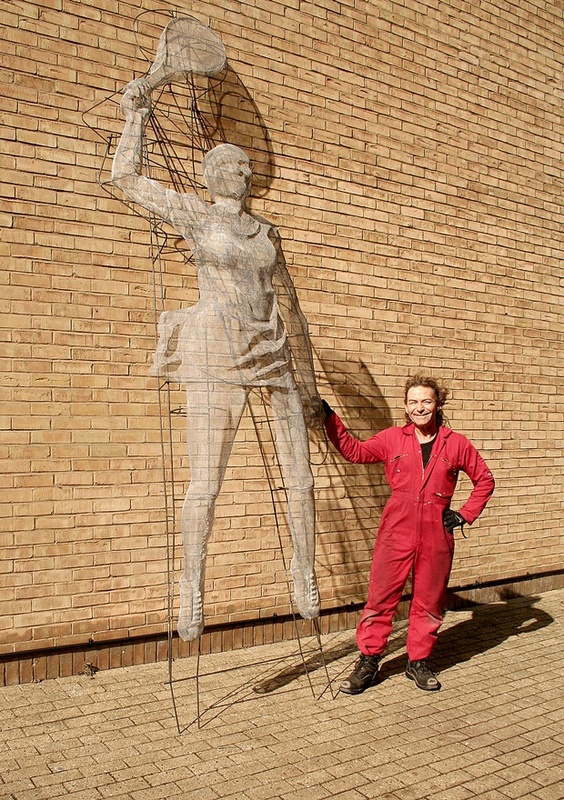 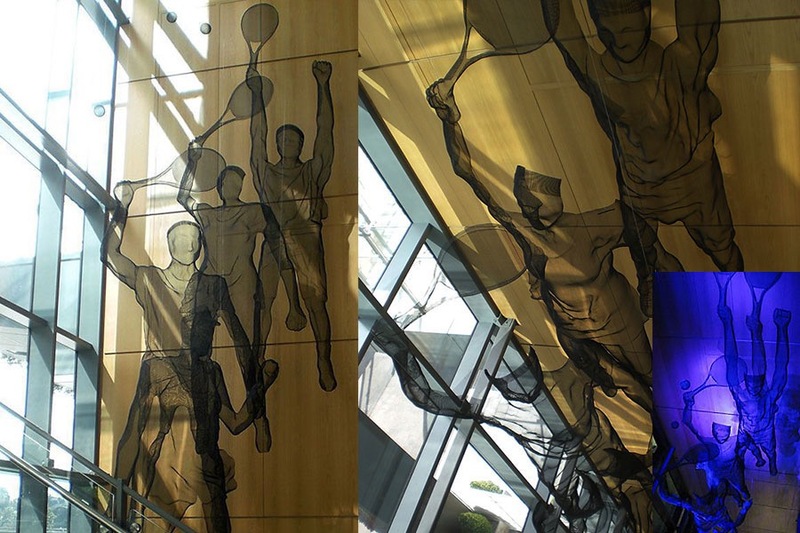 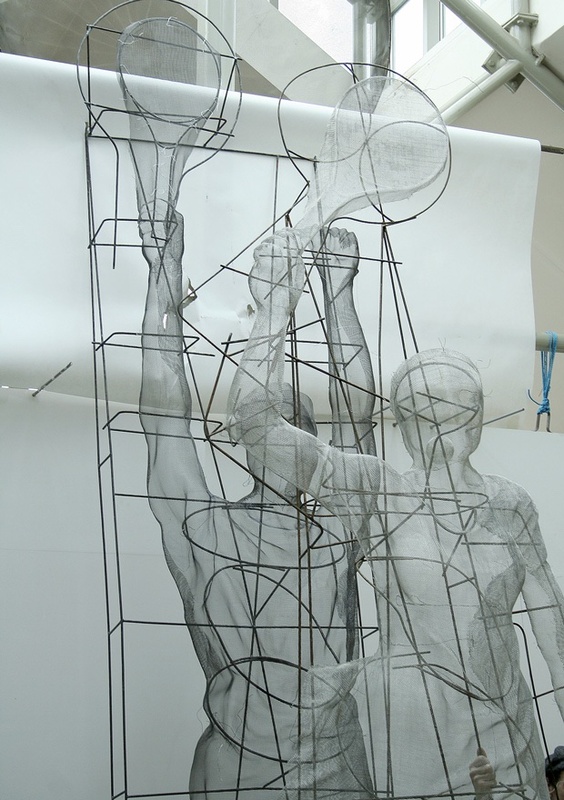 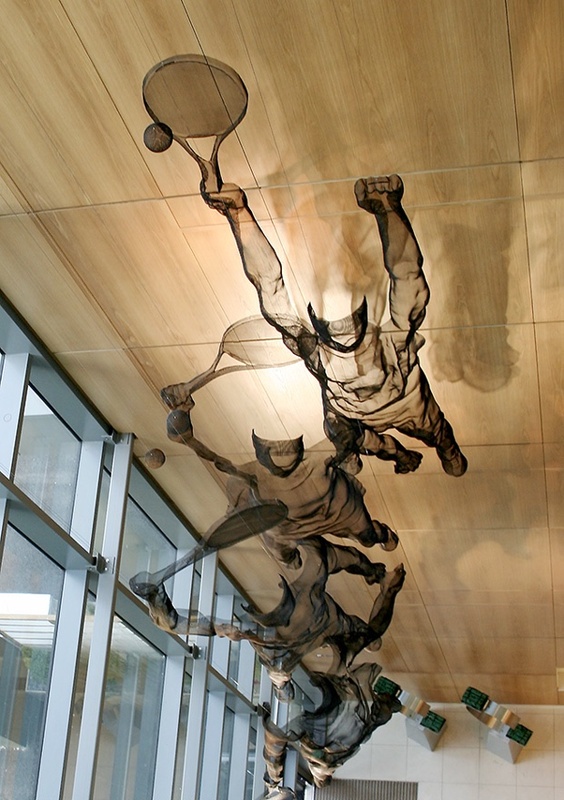 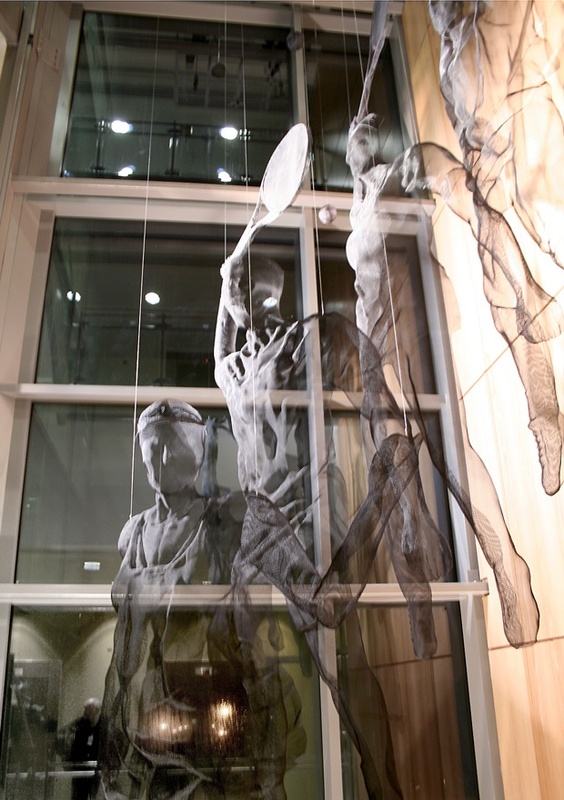 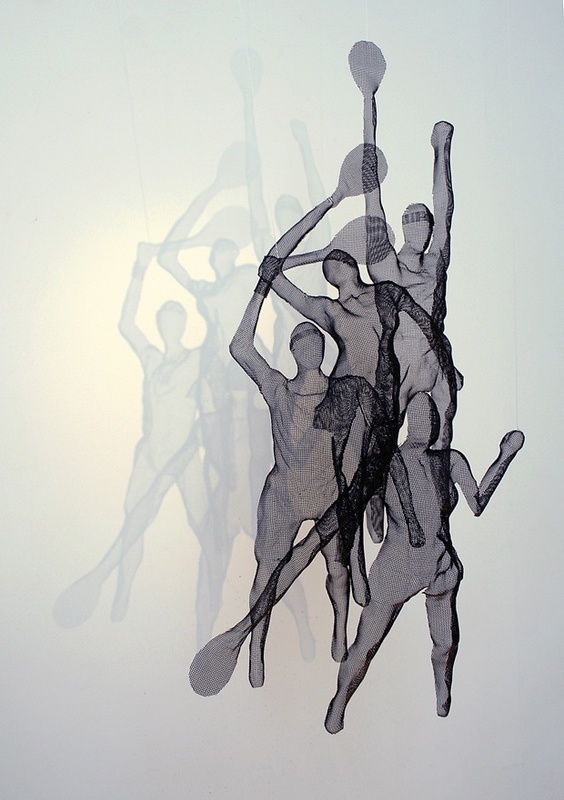 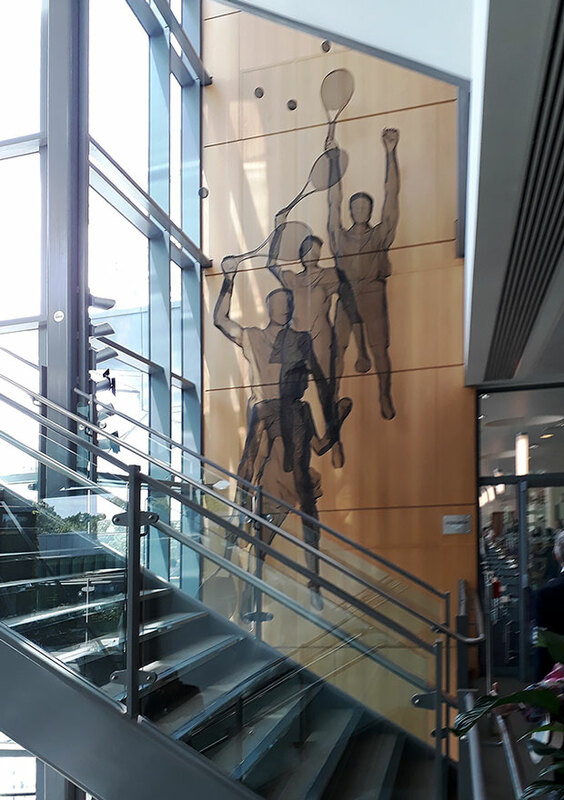 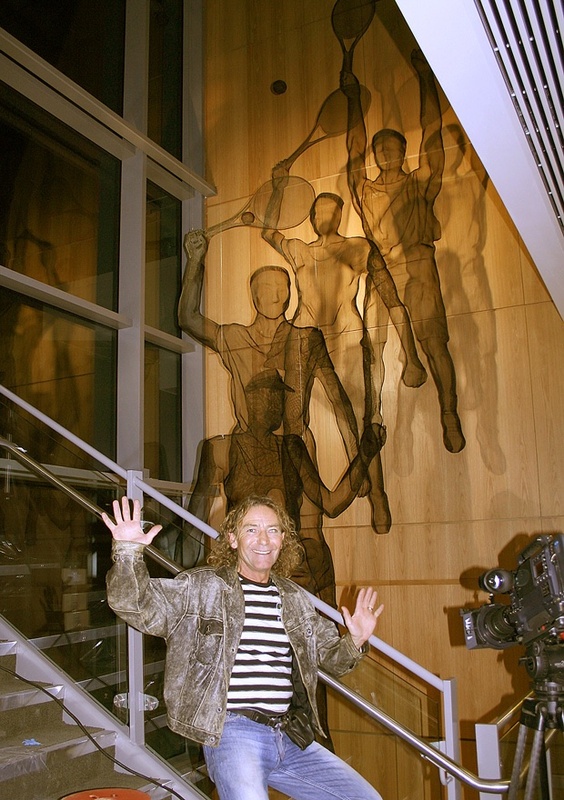 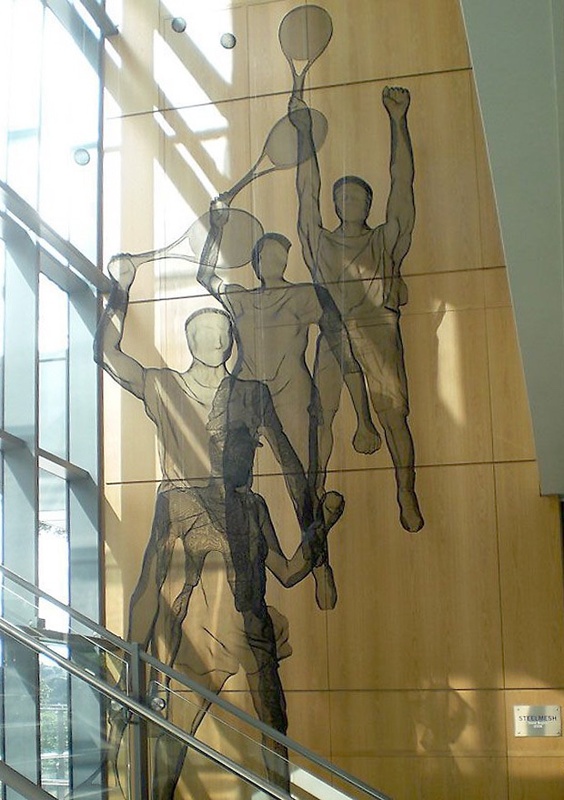 Commissioned for the All England Lawn Tennis and Croquet Club to fill the atrium void at the centre court stairwell. 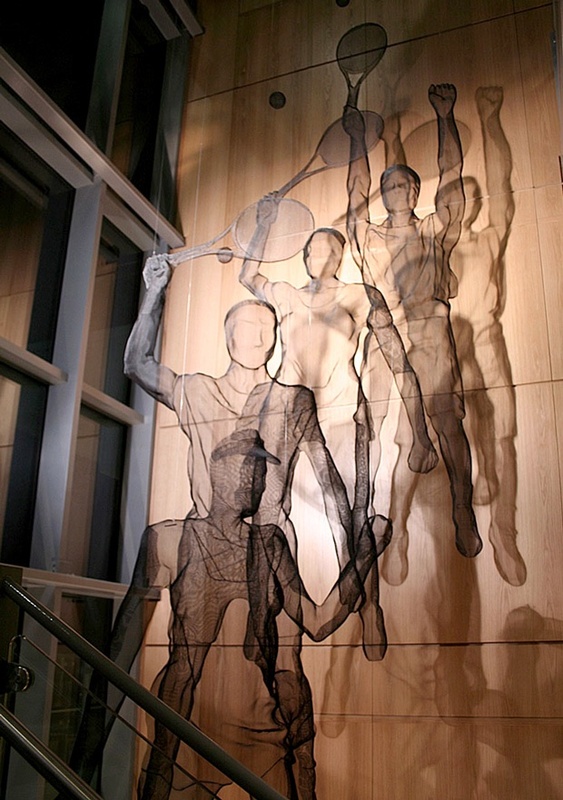 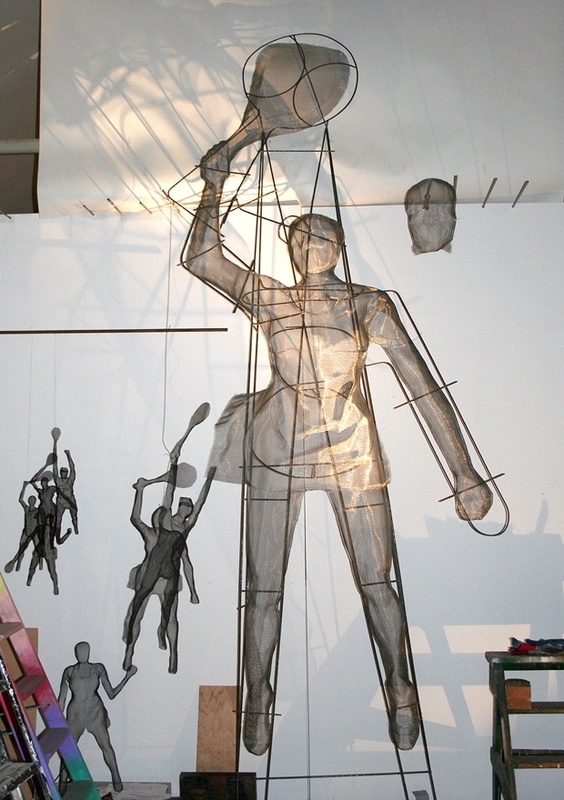 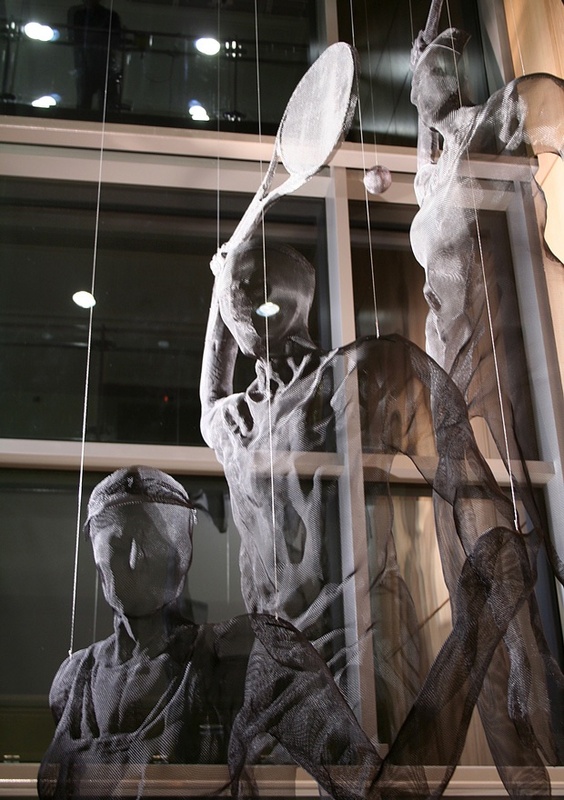 Composed of wire mesh, the effect of light and shadow creates a sense of theatre and drama within the space. 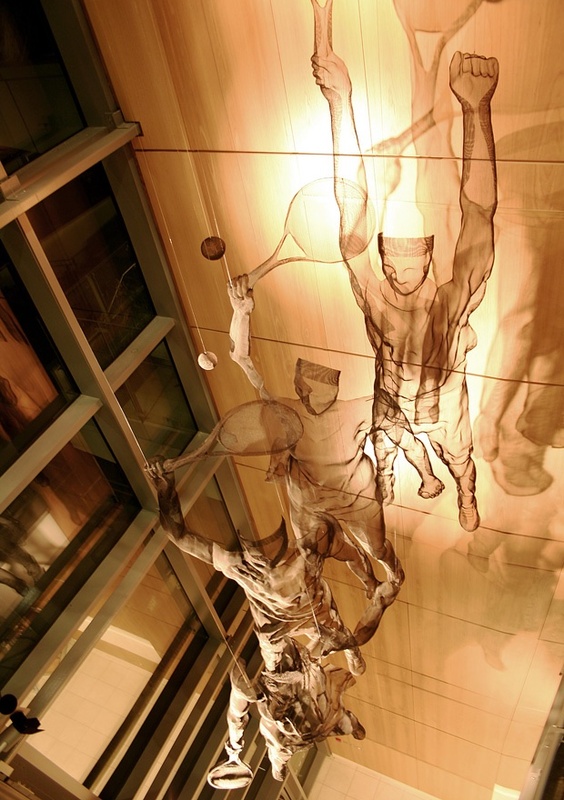 A variety of spotlights, controlled by an automatic control system, rhythmically fade in and out to render a sense of movement that evokes the play of tennis. 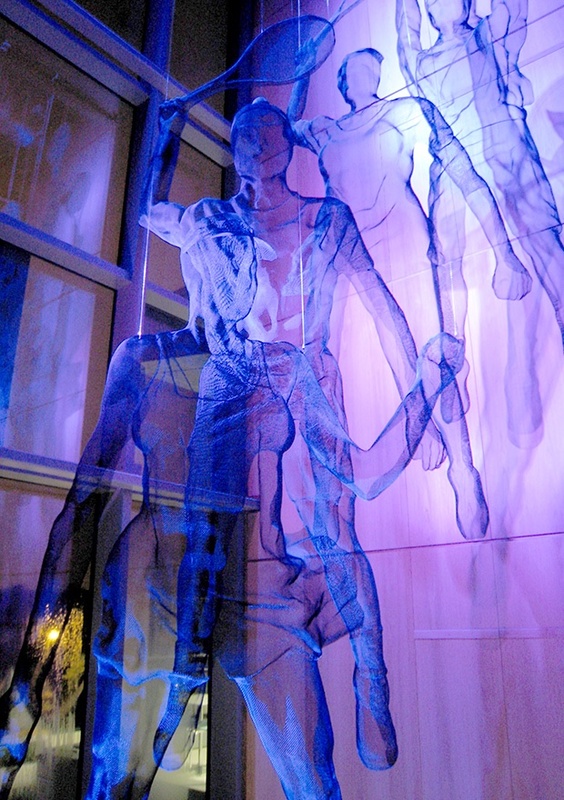 Shadows appear and recede as the lights fade on and off, further heightening the performance. 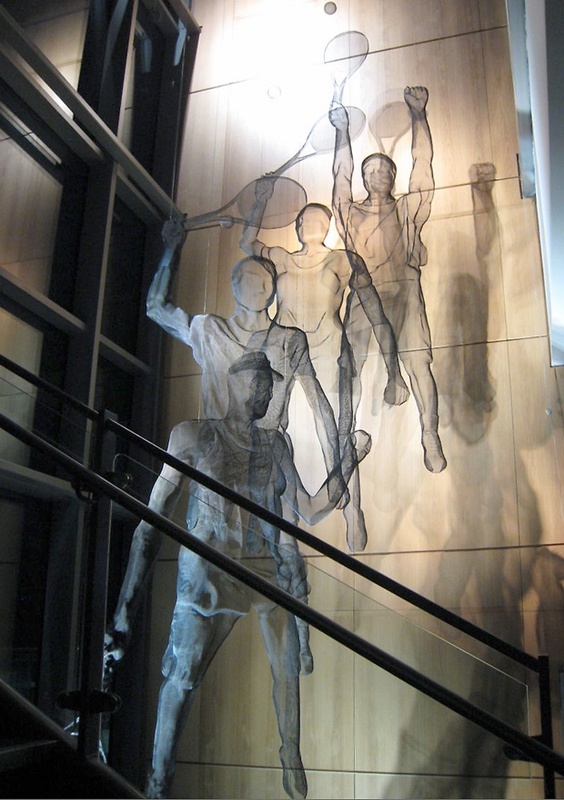 In the evening the stairwell is bathed in blue light, providing further contrast as the lighting plays with the sculptural form and gives the black wire mesh a translucent ghost-like quality.